This week’s must-see L.A. shows include a throwback rocker, a pair of very different Brits, and a music fest that has managed to stay local. Velvet voiced crooner Sam Smith first gained attention for collaborating with UK dance darlings Disclosure on their hit “Latch.” It didn’t take long for him to score a solo deal with Capitol Records and a #1 hit with “Stay.” Smith’s 2014 debut, In The Lonely Hour, showcased a stealth voice that quivers with emotion. Hey may be able to transcend the blue-eyed soul label after all. Greek Theatre: 2700 N. Vermont Ave., Los Feliz. Tix: $50-$60. 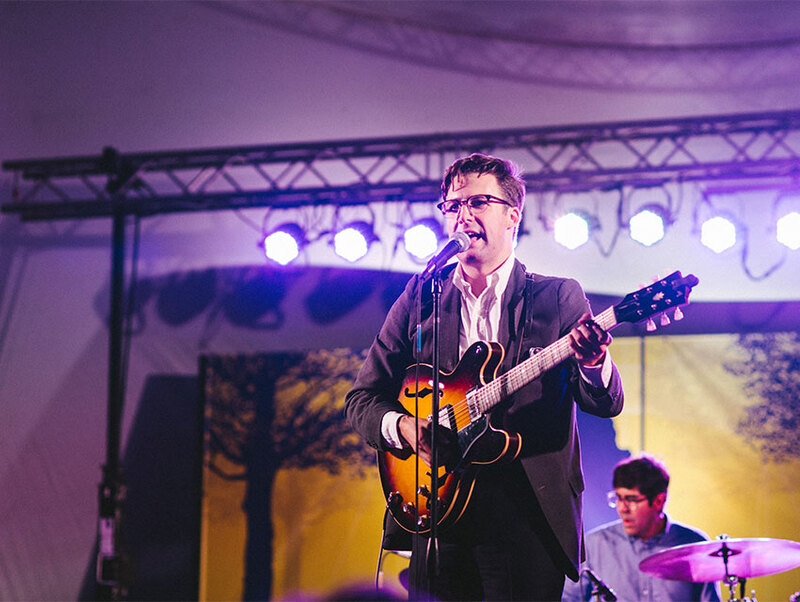 Retro-obsessed musician Nick Waterhouse makes analog sounds for a digital era. He shows off his trademark mix of clean R&B and garage rock on his sophomore album Holly, which came out in March. He’s been busy since then, embarking on a summer tour that has taken him around the world serving as producer for Innovative Leisure labelmates the Allah-Las. Mayan Theater: 1038 S. Hill St., downtown. Tix: $26. It’s hard to believe that piano man Elton John has been performing to adoring audiences for 50 years. Last year he released his 31st full-length studio LP, The Diving Board, a collaboration with his longtime songwriting partner Bernie Taupin and producer T. Bone Burnett. John boasted it was the type of album he had wanted to make for decades. This year also marks the 40th anniversary of one of his most popular albums, Goodbye Yellow Brick Road, so expect an eclectic mix of old and new for this tour. Staples Center: 1111 S. Figueroa St., downtown. Tix: $40-$170. The Eagle Rock Music Festival, now in its 16th year, was organized to bring this northeast L.A. community together. Think of at as a smaller Sunset Junction before that festival outgrew its locavore ethos and became a morass of bad management and recriminations. This weekend’s lineup will feature more than 30 acts on six stages as well as food trucks and booths with wares from local artists. Who should you catch? The soulful pop of Aloe Blacc, Buyepongo, Myron & E, Ethio Cali, Quetzal, Taylor McFerrin, White Magic, Viento Callejero, Bonne Musique Zydeco. Full lineup and set times here. Corner of Colorado Blvd. & Eagle Rock Blvd., Eagle Rock. Tix: $10-$20 suggested donation.